What can we learn from genetics about the origins of Ashkenazi Jews? Where did we come from? Are we all related? What has been discovered about our founding population? Can DNA analysis tell which people are Ashkenazi Jews? Why is it so hard to find our relatives using DNA? What are the medical consequences? Shai Carmi will share answers, uncertainties and myths relating to these and other questions. 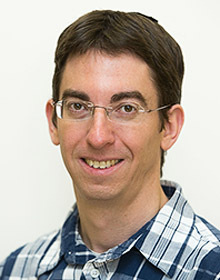 Dr. Shai Carmi is on the Faculty of Medicine at The Hebrew University of Jerusalem, specializing in computational RNA biology and population genetics. He has published numerous papers on Ashkenazi medical genetics and led the largest efforts to date to map the genomes of Ashkenazi Jews and to reconstruct their historical migrations.